Episode 126 of the Walking Leader Podcast is out now. In this episode, your host, David Guerra, talks about preparing your team for the new year, 2019. Bringing you five tips on how to make your team ready to succeed in 2019. 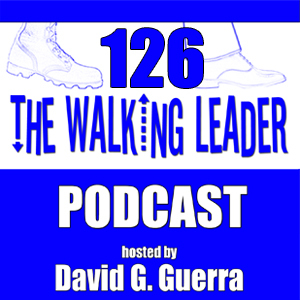 Visit https://daveguerra.com/wlpodcast/walking-leader-podcast-120-129/walking-leader-podcast-126/ to listen to this new episode. ‹ New Podcast Episode Out Now!